We are so excited to announce that Meg and Ry were blessed with a beautiful baby girl! 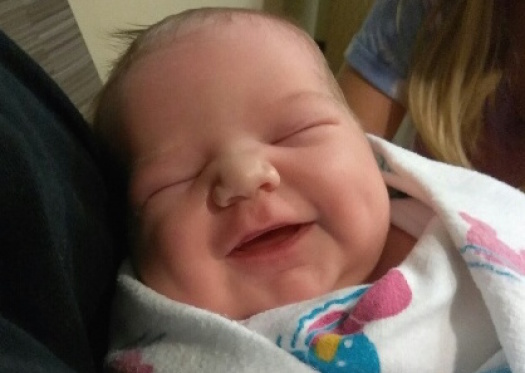 Ellie Rose came into their lives after just seven months of waiting. 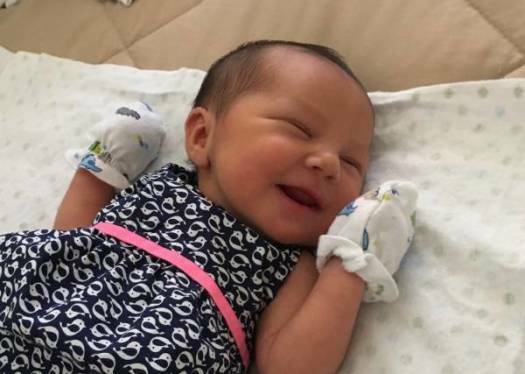 She was born on August 17, 2017, and was immediately welcomed into the world by her new parents. Meg and Ry made a visit out to Missouri before Ellie's birth to meet their amazing birthmom, Jessy, and her family, and they developed a beautiful forever bond. The LifeLong family is so truly happy for this new family and we hope they have many amazing memories together! Thanks to their birthmother on making such a brave and courageous choice to help Meg and Ry grow their family with a new bundle of joy! Patience and understanding are two really great words we would use to describe Noah and Brandon. They adopted in 16 months! 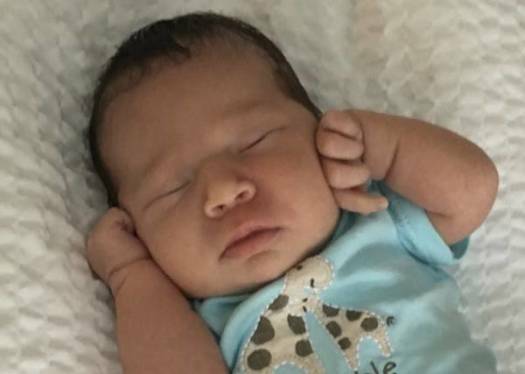 They were connected with their birth parents, Priscilla and Ryan, for a few months before their baby girl, Aliyah Dawn, was born on August 12, 2017. There was never a doubt from their astonishingly strong birth parents, and once they found the perfect family for them, it made their decision that much more concrete. Priscilla and Ryan kept the guys up to date with doctor's appointments and the baby's progress, and Noah and Brandon headed to northern California right before the induction. They were patient in navigating this time for both Priscilla and Ryan. They were understanding and not pushy when it came to communication and knew that everything would work out the way it was supposed to. And it did! We cannot be more excited for this deserving and incredible couple. We wish you all nothing but the very best! The wait is finally over! Yishai and Yochanan's baby boy was born very unexpectedly on August 7, 2017. LifeLong was in touch with their birthmother, Laura, on and off for a few months while she worked through this decision. One day, LifeLong texted Laura to check in and see how her day was. Laura, with some humor, stated she had been having some contraction pains and ended up having her son at home just hours before! 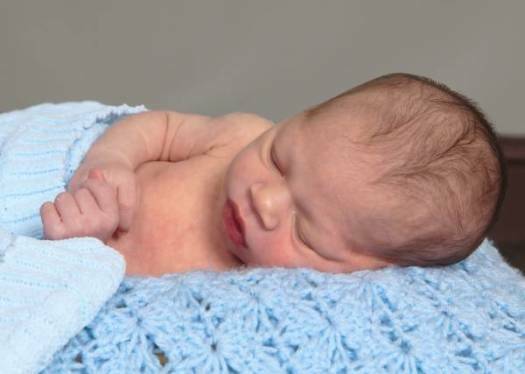 He was born two months early and had to spend some time in the NICU. That's when Yishai and Yochanan got the call they had been waiting for! Without hesitation or question, they went to Ohio to start bonding with and being there for their boy, while showing great support to Laura. It was a long road for Yishai and Yochanan, who waited over two years, but their patience and perseverance outweighed the wait, and their amazing birthmother gave them the most selfless gift anyone can get! We are thankful that they held onto fate and hope during this difficult journey. We are incredibly happy to have been a part of their journey and have seen their dreams of parenthood come true. Wishing you all the very best! Ozzy and Tyler were just settling into their adoption journey after completing their home study and family profile. They were not expecting to get any news for a while. Little did they know, shortly after that, they would have baby Julian Hugh in their arms! In just a quick four months, Tyler and Ozzy were connected with their wonderful birthmother, Paige. They embarked on a road trip across half of the United States to meet her for the first time, and Julian Hugh was born on August 7, 2017. LifeLong was very fortunate to have met Tyler and Ozzy at the LifeLong Adoptions Family Reunion event, and we instantly knew they were going to be great dads. Their birthmother contacted LifeLong back in December of 2016 to get information on adoption, but she didn't contact us again until May of 2017. She took her time with this decision and weighed her options out. We never wanted to pressure her. We just offered her our care and support if she needed it. We couldn't be more thankful for her for taking her time with this decision! Julian is the light of Tyler and Ozzy's lives. Congratulations to this new family! Having adopted from LifeLong the first time nearly three years ago, Mark and Thanh knew to plan for a process that could take time. Much to their surprise, 16 months after their profile was completed, they were chosen by a birthmother! The match happened rather quickly, and Mark and Thanh had roughly three weeks to prepare for the arrival of their son. 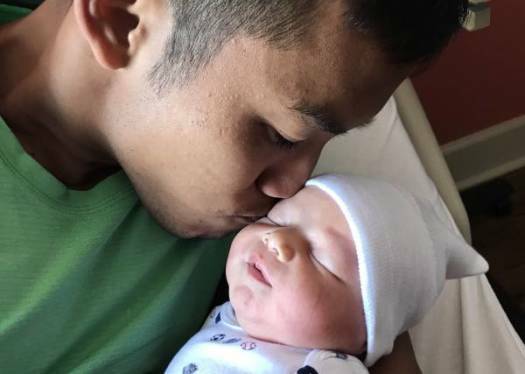 Mason Jay was born on August 4, 2017, and their birthmother made the brave and selfless decision to place Mason with Mark and Thanh. We are grateful for birthmothers that consider adoption and thankful to Mark and Thanh for opening their home and hearts to a beautiful little boy. His big sister is just loving taking on this new role with her new sibling! We are so excited to announce that Nick and Mike were blessed with a beautiful baby girl! 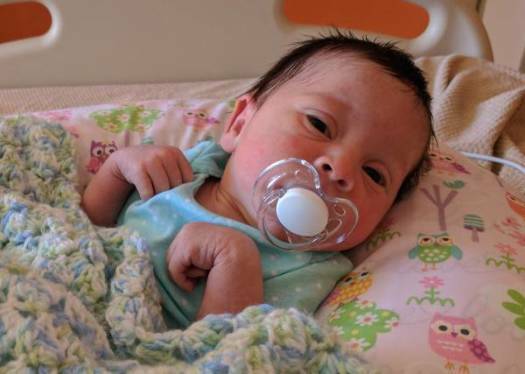 Little Thea Deanna came into their lives after just 14 months of waiting. 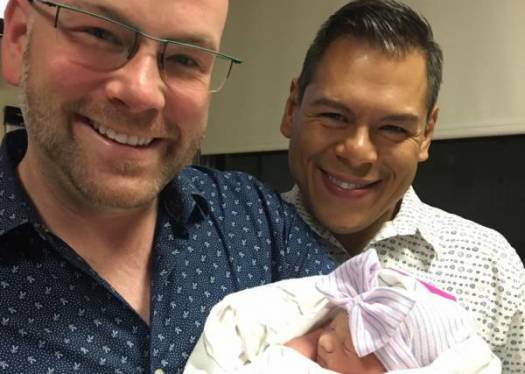 She was born on July 26, 2017, and was immediately welcomed into the world by her new parents! Before Thea's birth, Nick and Mike made a visit out to Texas to meet their amazing birthmom, Savannah. The LifeLong family is so truly happy for this new family and we hope they have many amazing memories together! Thank you so much to Savannah for making such a brave and courageous choice to help Nick and Mike grow their family with a new bundle of joy! Congratulations to Charles and Davian who adopted their handsome son, Braeden Amir in five short months! Braeden was born on July 22, 2017, in Pennsylvania, and Charles and Davian flew across the country to meet their son! They made it a point to put Braeden's birth parents, Cassie and Tre'rese, first and be there for them during this emotional time. They showed such care, and love towards Braeden's birth parents and we couldn't appreciate that more! They built a relationship, Facetime'ed, texted, and met face to face over the course of the four months during their connection. They built a beautiful foundation with one another! Shockingly, Charles and Davian's profile was only shown three times before they were chosen! This goes to show that everything works out the way it's supposed to and fate always has its course! We are wishing you all a lifetime of love and happiness! It was a long journey for Olivia and Jessie who went through several failed matches along the way, but they always kept a positive attitude. When their incredible birthmother, Shannon, contacted LifeLong in April of 2017, stating she was expecting a baby in July, there were some questions and uncertainties on all ends. But when Olivia, Jessie, and Shannon started communicating, they hit it off immediately! With similar likes, interests, personalities, and goals, they created a bond that is very special. They continued to talk over the course of the next few months. Olivia and Jessie even invited Shannon out to their home state where she could see where her son would be raised. A few weeks later, Olivia and Jessie headed out to South Carolina to see Shannon's neck of the woods! They built a very trusting relationship, which is key to any adoption. On July 19, 2017, their lives were changed forever! 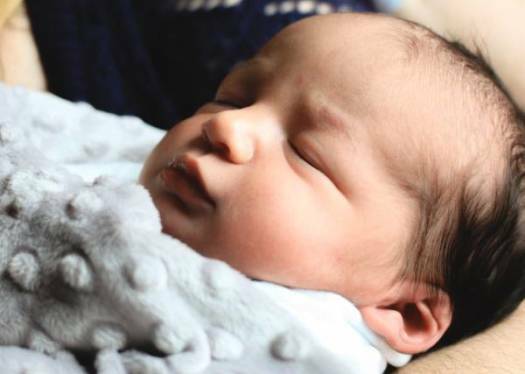 Little Gryffin entered this world and was as beautiful as ever. Gryffin is one lucky little boy to have all of you in his life! We cannot commend Shannon enough for her bravery and willingness to put herself last and do all that she could for her son. Olivia and Jessie adopted in 24 months, and the wait is finally over. We cannot be happier. Congratulations Olivia and Jessie! John and Harry adopted a wonderful baby girl, Zoey, on July 3, 2017. 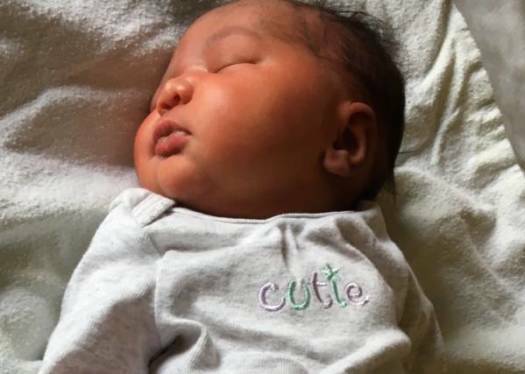 Zoey entered this world and immediately stole the hearts of her new parents. We admire the strength and courage of Zoey's birthmother, Ashley, in choosing adoption and the beautiful relationship all of them created during this journey! We cannot thank her enough for making this family's dream come true. John and Harry adopted in 14 months and we are so glad they did! Wishing this family the very best! It was a long road for Kaydian and Nandini, who went through several failed matches during their adoption journey. All along the way, they always held on to that little bit of hope that "everything will work out the way it's supposed to." They were feeling down on their luck when a last-minute situation changed it all. To say that their journey was roses and rainbows would not necessarily be accurate, but once they laid eyes on their daughter, it all changed for the better. Little Bodhi Kate was born on May 12, 2017, and their lives were changed forever! Seeing everything this sweet couple went through and knowing their lifelong dream to be mothers has come true brings so much joy to us. Bodhi is one lucky little girl! Her birth parents were so confident in their decision and remained strong when others were against them. We cannot commend them enough for their bravery and willingness to put themselves last and do all they could for their daughter. A beautiful relationship has blossomed between these four in such a short amount of time. The wait is finally over, and we cannot be happier. Congratulations Kaydian and Nandini! Birthmother Sarah admitted she was considering adoption prior to contacting LifeLong in early December. LifeLong helped her pick from various family profiles and she felt confident in having Heather adopt her baby girl. Over the course of the next six months, they built a beautiful relationship. Heather visited Sarah prior to the birth and headed to Kentucky days prior to wait for the arrival of Avery Jane. Avery was born on June 24, 2017, as healthy as could be! 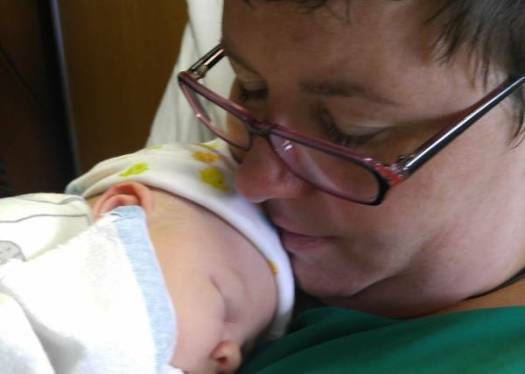 She was able to spend her first hours in the world surrounded by the love of her birthmom and adoptive mom. Heather adopted in 12 months. From all of us here at LifeLong, we wish Heather, Sarah, and Avery nothing but love and happiness! Congratulations! During Kristin's adoption journey, she had a few ups and downs, but she always had a positive outlook on everything. She waited a grueling two months for things to become final, and she showed nothing but poise, trust in the process, and gratitude to her amazing birthmother, Tierra, who gave her the most selfless gift anyone can get and give. Kristin and Tierra connected instantly, developing an incredible bond. 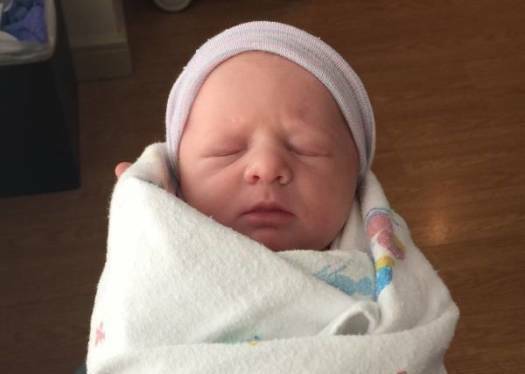 LifeLong is so excited for Kristin, who traveled to Tennessee to meet her new daughter, Kaley May. She was born early on April 11, 2017, but as healthy and beautiful as can be! Tierra is equally as excited for Kristin and the two will have a lifelong friendship. Despite the trials and tribulations Kristin endured along the adoption journey, completing her family through adoption will always be worth it! The strength that Tierra and Kristin both shared is so admirable. Congratulations Kristin, the wait is finally over! Kristin adopted in 23 months.